The 2013 arcade sequel to Gunslinger Stratos, from Byking, Taito and Square Enix. It is the second game in the Gunslinger Stratos franchise. This sequel to Gunslinger Stratos received a location test in late 2013, before receiving a nationwide Japanese release in early 2014. It is the second game in the Gunslinger Stratos franchise. 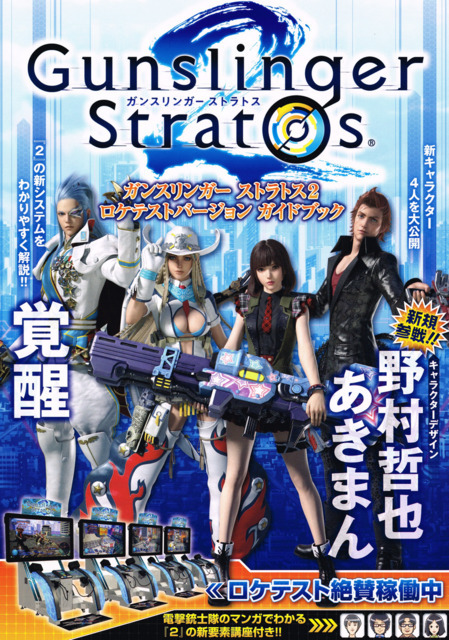 At the Tokyo Game Show in September 2014, Square Enix announced various Final Fantasy costumes for Gunslinger Stratos 2, available from November 2014. In February 2014, Capcom's Yoshinori Ono announced Ultra Street Fighter IV costumes for Gunslinger Stratos 2.